Reflection questions for before, during, and after a project or lesson. 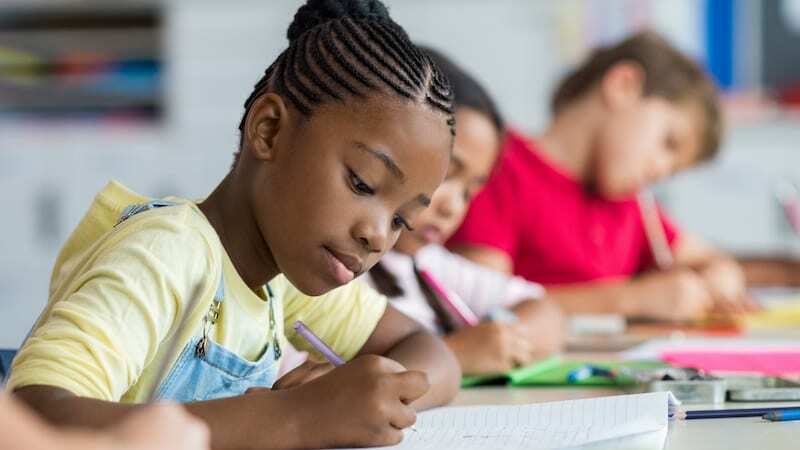 Teaching our students the importance of reflecting upon their knowledge, work, effort, and learning is super important, but it’s not always that easy. Reflection questions allow students to think about their thinking. This kind of questioning allows students to better understand how they are working or learning so they can make changes and adjustments from there. Reflection takes time, and often students think that once their work is complete, they should be finished. Often, the younger the student, the more difficult it can be to get them to reflect on what they’ve done. Here are a few of our favorite reflection questions to use in your instruction. 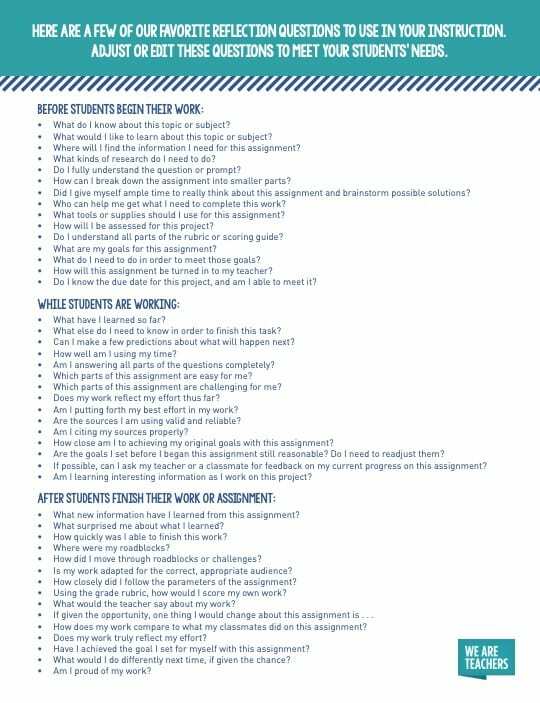 Adjust or edit these questions to meet your students’ needs. What would I like to learn about this topic or subject? Where will I find the information I need for this assignment? What kinds of research do I need to do? Do I fully understand the question or prompt? How can I break down the assignment into smaller parts? Did I give myself ample time to really think about this assignment and brainstorm possible solutions? Who can help me get what I need to complete this work? What tools or supplies should I use for this assignment? How will I be assessed for this project? Do I understand all parts of the rubric or scoring guide? What are my goals for this assignment? What do I need to do in order to meet those goals? How will this assignment be turned in to my teacher? Do I know the due date for this project, and am I able to meet it? What else do I need to know in order to finish this task? Can I make a few predictions about what will happen next? How well am I using my time? Am I answering all parts of the questions completely? Which parts of this assignment are easy for me? Which parts of this assignment are challenging for me? Does my work reflect my effort thus far? Am I putting forth my best effort in my work? Are the sources I am using reliable? Am I citing my sources properly? How close am I to achieving my original goals with this assignment? Are the goals I set before I began this assignment still reasonable? Do I need to readjust them? If possible, can I ask my teacher or a classmate for feedback on my current progress on this assignment? Am I learning interesting information as I work on this project? What new information have I learned from this assignment? What surprised me about what I learned? How quickly was I able to finish this work? How did I move through roadblocks or challenges? Is my work adapted for the correct, appropriate audience? How closely did I follow the parameters of the assignment? Using the grade rubric, how would I score my own work? What would the teacher say about my work? How does my work compare to what my classmates did on this assignment? Does my work truly reflect my effort? Have I achieved the goal I set for myself with this assignment? What would I do differently next time, if given the chance? Am I proud of my work? Do you want a short one-page printable of all of these questions to guide your instruction? What other questions would you add to this list? Come and share in our WeAreTeachers Chat group on Facebook. 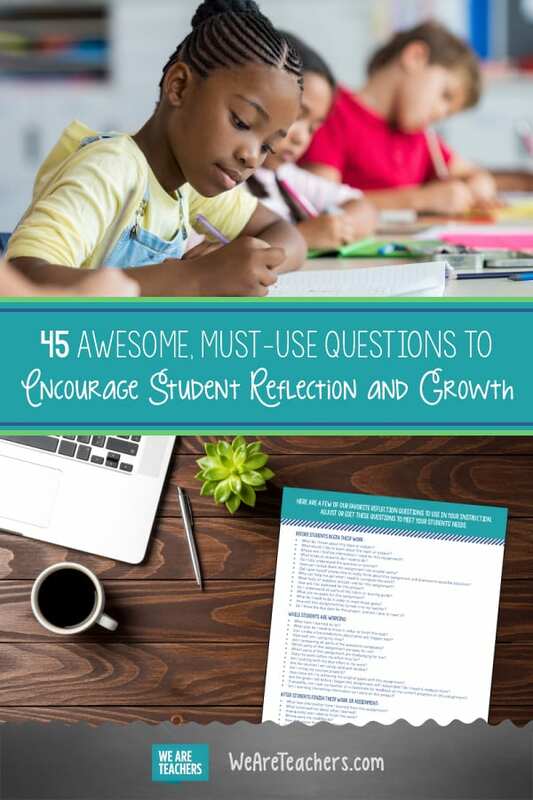 Plus, check out our big list of critical thinking questions and growth mindset posters.